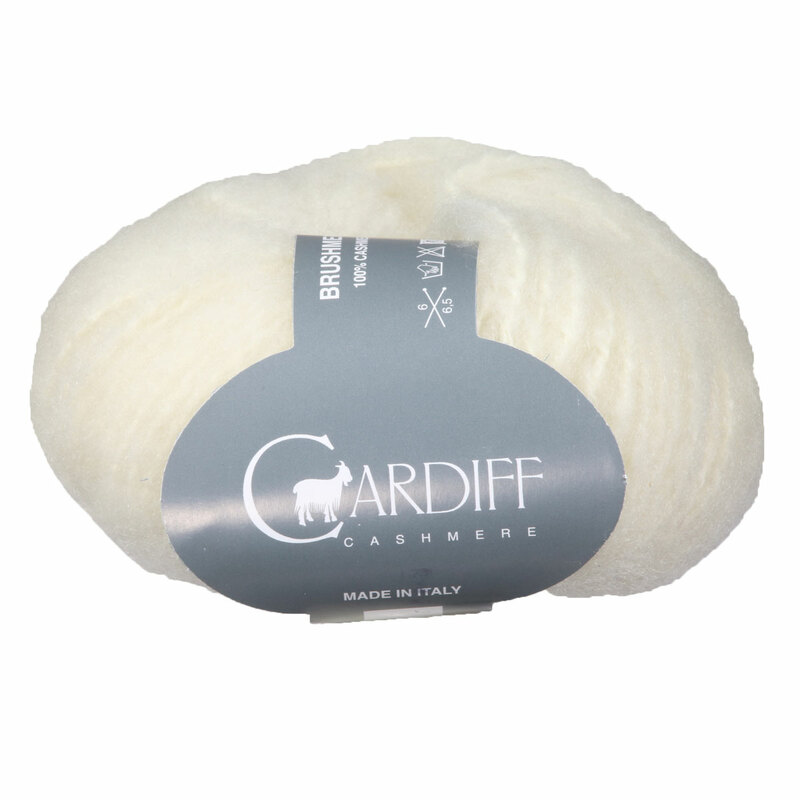 Brushmere, by Cardiff Cashmere, is a luxuriously soft yarn made of 100% Italian cashmere. 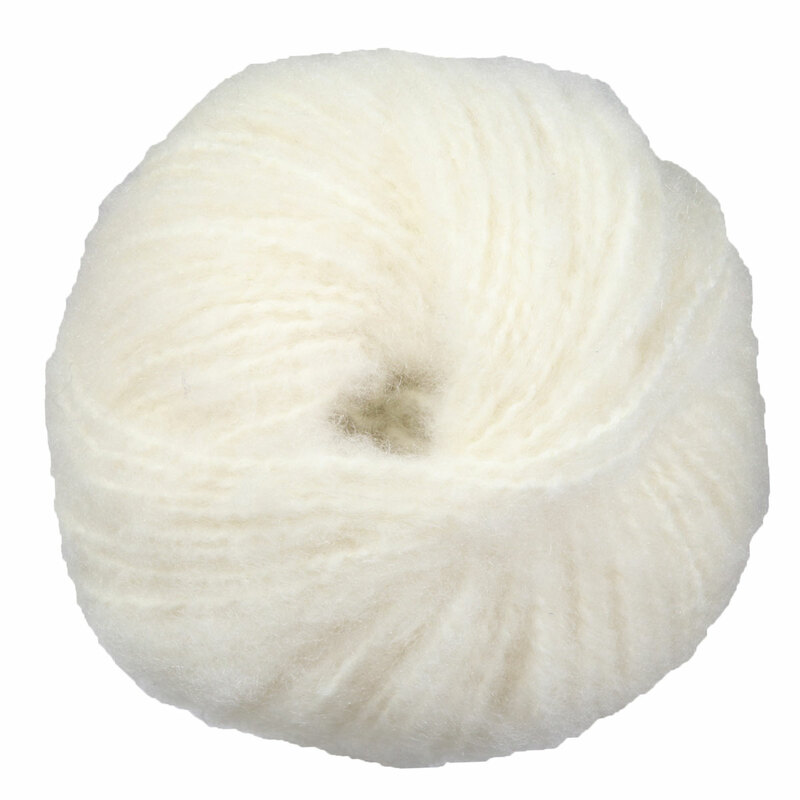 This bulky yarn comes in a 48 yard ball that is perfect for quick and simple accessory projects from scarves to hats. It creates an airy fabric that is almost weightless, but still super warm and cozy. It would also be a great choice as a fuzzy trim for the cuffs of hats or sweaters! Brushmere has a lovely halo, and due to the plush 100% cashmere composition, requires delicate care to avoid excessive pilling. Big Bad Wool Baby Yeti Yarn is a similar yarn: hand wash, bulky (12-15 sts/4 in), 3.5 sts / inch, and on size 11 US needles. You may also like Urth Yarns Kashmir Mono Yarn, which is another similar yarn: cashmere, hand wash, and 100% cashmere. What about yarn that have the same look and feel? Find more yarn with a boucle texture, a medium twist, and is machine dyed. Hopefully our suggested project ideas for Cardiff Cashmere Brushmere Yarn can help you come up with your next exciting new project idea!